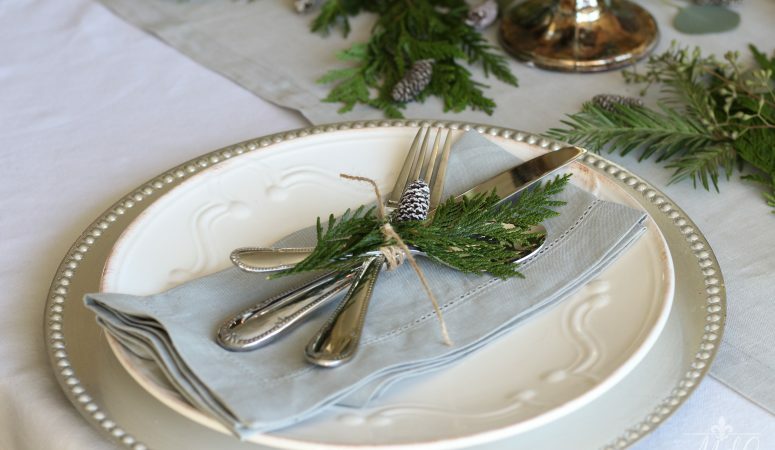 Happy Holidays and welcome to our Holiday Tablescape Blog Hop! If you’re a regular reader here, you know how much I enjoy doing holiday tables. That’s why I decided to write an e-book with twelve tables – one for every month of the year! Are you ready for the holidays yet? I’ve decorated, done some shopping (definitely not all! 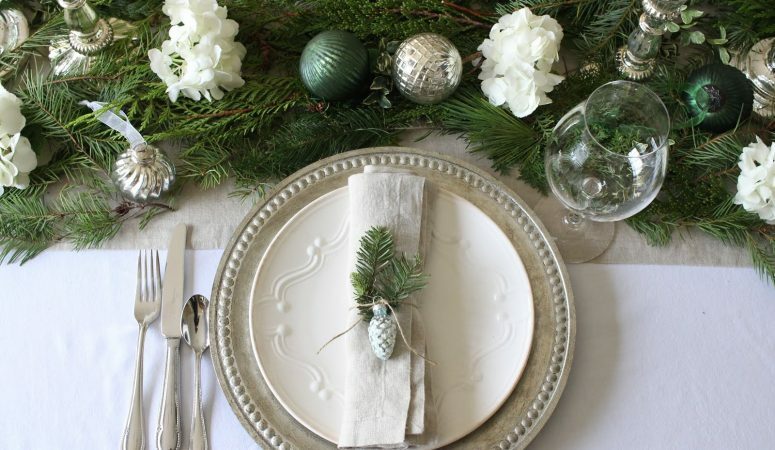 ), and am starting to plan my Christmas dinner, so tablescaping is something that is on my mind. 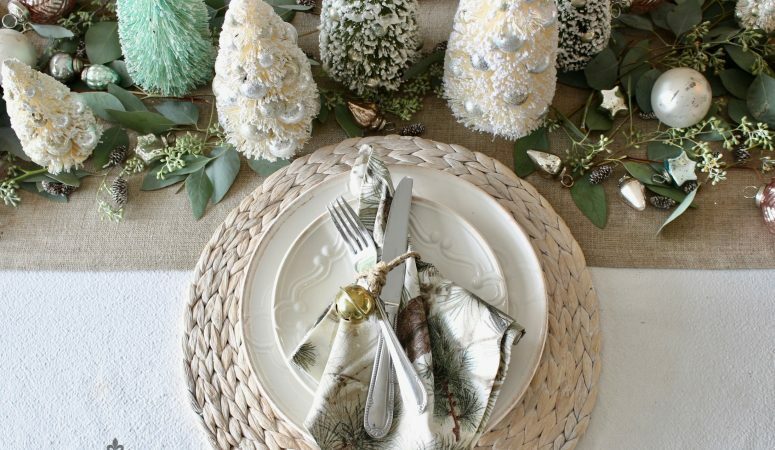 I don’t know about you, but one of my absolute favorite things to look at on blogs or Pinterest is tablescapes. 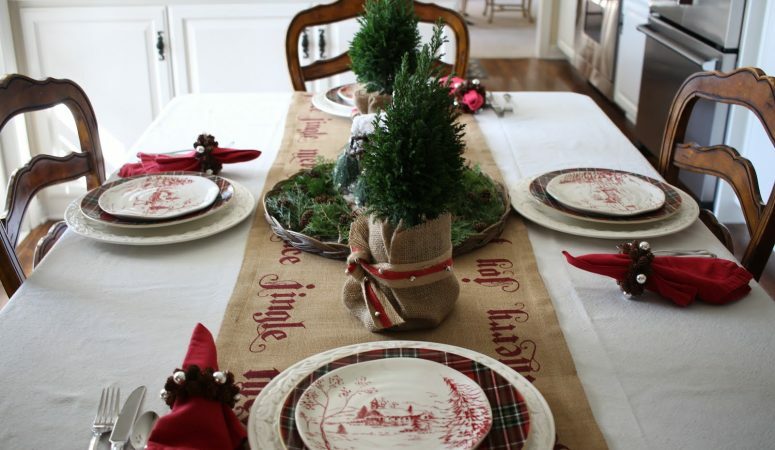 With that in mind, we decided to do a blog hop where we each do a different interpretation of a holiday tablescape. 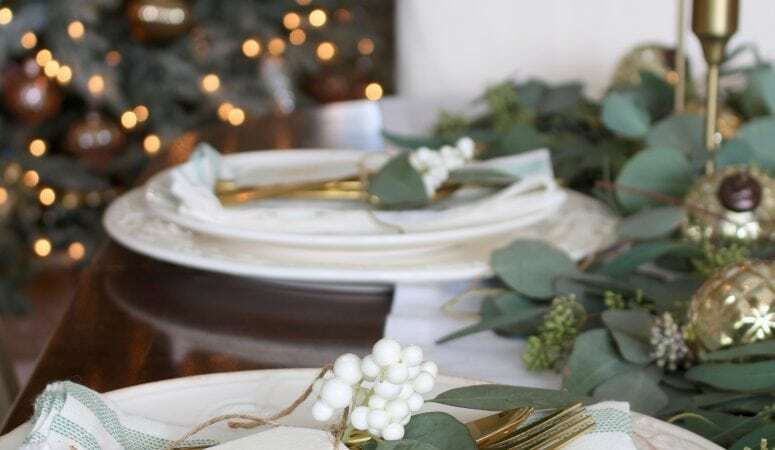 When I started planning my table, I knew I wanted to do something in a neutral Christmas vein; much like the decor in the rest of the house (you can see my two Christmas tours here and here). For me, that meant no red, and incorporating the creams, naturals, and greens that I had already used elsewhere.